"We're delighted to report record earnings for 2017 after our fourth quarter results cap an extremely strong year for Hawaiian" said Mark Dunkerley, Hawaiian Airlines president and CEO. "Robust demand in all of our major geographies and moderate industry capacity growth offset the rising price of fuel. We carried more guests this year than ever before and set new records for fourth quarter and full year revenue. These results are the product of the tireless efforts of the 6,600 employees who deliver authentic Hawaiian hospitality on the ground and in the air every single day. Looking ahead, 2018 stands to be a year that Hawaiian enters into the last phase of a strategy mapped out over a decade ago. 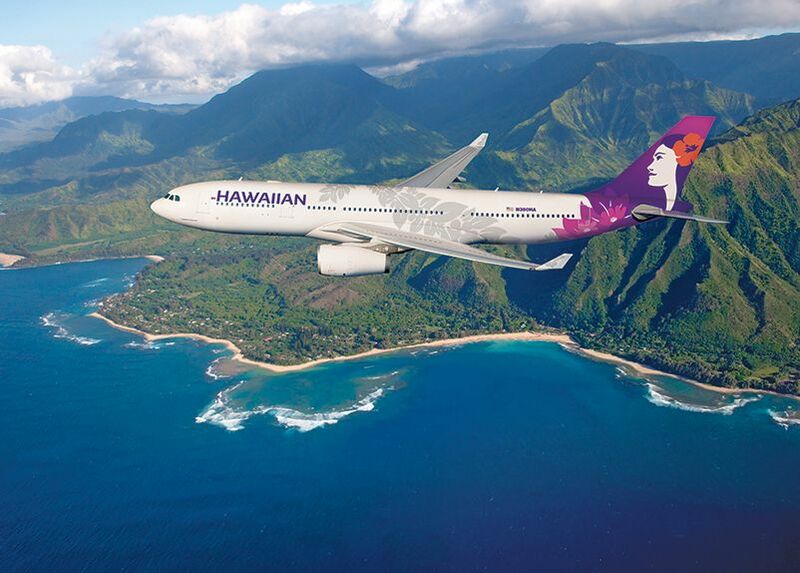 With new aircraft, new markets, and product enhancements tailored to the needs of the Hawai'i traveler, we are better equipped to compete today than at any time in our past. We look forward to the year ahead and all that it has in store." Extended seasonal non-stop service to year-round non-stop service between Los Angeles International Airport (LAX) and Kaua'i's Līhu'e Airport (LIH). Commenced summer seasonal service with daily non-stop flights between Oakland International Airport (OAK) and Līhu'e (LIH) and thrice weekly flights between Los Angeles (LAX) and Kona International Airport (KOA). Announced extended service between Los Angeles (LAX) and both Kona (KOA) and Kahului (OGG), between Oakland (OAK) and both Līhu'e (LIH) and Kona (KOA), and between San Francisco International Airport (SFO) and Honolulu (HNL). Launched daily round trip service between Maui's Kapalua Airport (JHM) and both Honolulu (HNL) and Kahului (OGG), and between Līhu'e (LIH) and Kona (KOA). The table below summarizes the Company's expectations for the first quarter ending March 31, 2018 and the full year ending December 31, 2018, expressed as an expected percentage change compared to the pro forma results for the quarter ended March 31, 2017 or the year ended December 31, 2017, as applicable.